In the second part of this article, I look at blockchain’s key concept of trust. The first model, peer to peer, was the first one that happened over times and it still works very well, particularly in close-knit communities. In our global world, due to the internet, peer to peer trust systems have been revitalised, but their capability for scalability might be limited. Then, the intermediary model, corresponds to a trust model based on a mediator. It has been able to scale itself due to online platforms, and their systems of digital reputation. One possible example of this is airbnb. The third model is the trust model entitled Leviathan, which is based in the political ideas outlined by XVIIth century philosopher Thomas Hobbes. Thomas Hobbes’s book “Leviathan” is considered to be one of the most influential work of political philosophy. Written during the English Civil War (1642–1651), the book describes what is a social contract and rule done by an absolute ruler. Hobbes thesis was that civil war and the situation of the conflictive state of nature (“the war of all against all”) could be avoided if there was a strong, undivided government. 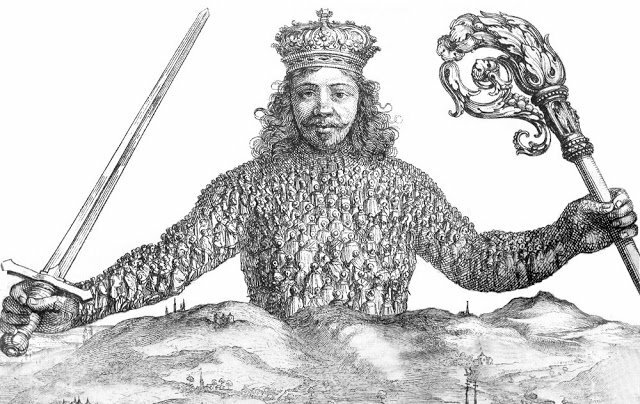 The frontispiece to the first edition of Leviathan was done by Hobbes in collaboration with an artist, and it represents his concept of a commonwealth, as a gigantic human form built out of the bodies of its citizens, having the ruler as its head. That gigantic human form is the artificial man, the Leviathan. This is a being that humans create out of their will for a social contract, and by endowing this being enormous power: a total monopoly on the use of force and violence. Taken to modern times, the symbology of leviathan’s model of trust is the idea of trusting governments and its institutions, for example, as mediators and reinforcers of contracts. This, evidently, raises all kinds of questions, including important ethical ones, which would imply a whole new regulatory approach and innovation in terms of legal thinking. In this article I describe more in detail the 4th category of trust, Blockchain as a trust structure. With blockchain, theoretically, the trust in the system happens without the need of trusting any actor within it. This trust is based on a consensus derived from consistent behaviour over time, across a network without central control. This solves one of the current issues of the present system which is, when a single organization or key player controls the information. If something happens to that organization you have a single point of failure. A recent example of this was Equifax 2017’s data breach. In September 2017, Equifax reported a gigantic cyber-security breach, that alarmed the world. 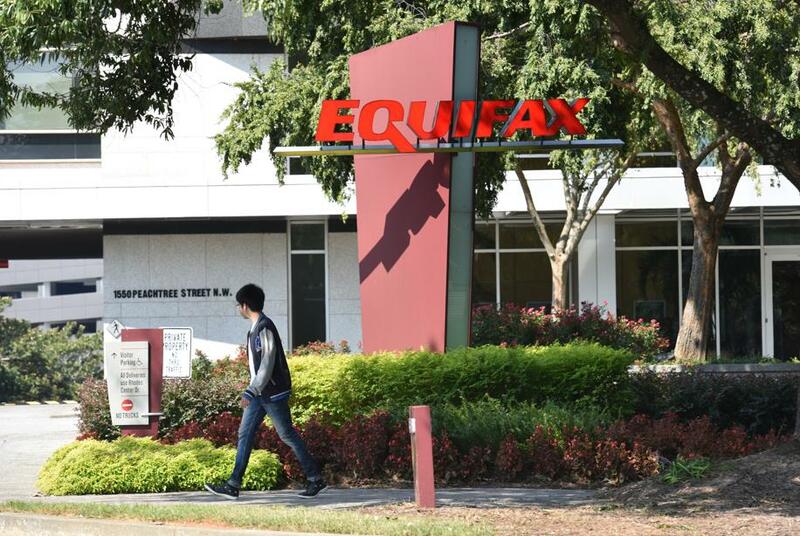 The company claimed that it occurred between mid-May and July 2017, when cybercriminals accessed approximately 145.5 million U.S. Equifax consumers’ personal data, including their full names, Social Security numbers, birth dates, addresses, and driver license numbers. Equifax also announced at least 209,000 consumers’ credit card credentials were taken in the attack. 6 months later, on March 1, 2018, Equifax also reported that 2.4 million additional U.S. customers were affected by the breach. 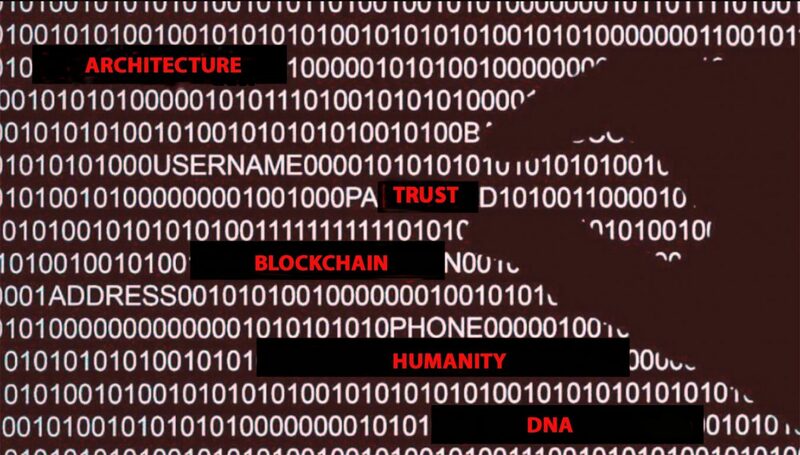 Potentially, with blockchain, a better trust system could be implemented, as automated processes of reconciliation and auditability could reduce the cost and effort of human intervention, particularly when we think of a large scale. As blockchain evolves, governments look with interest at this promising technology due to its possibilities in terms of trust. What would be the main requirements for the use of blockchain in governments , and how would governments benefit from its usage? Governments tend not to have vast resources to invest in terms of technology, so they have to use open source software and shared infrastructures. Blockchain could be tremendously advantageous for governments but in order for that to happen it would be necessary the assurance of a strong security for government applications. It is an attribute of blockchains that they are designed at their core to be secure. Blockchain provides transaction transparency that enables monitoring and accountability and it is an attribute of blockchains that they are designed at their core to be transparent. So their usage in Governmental applications could be advantageous. Finally, Blockchain could create the opportunity for “government as platform” that could support a wide range of other applications and operations. The concept of Government as a Platform opens up all kinds of possibilities, such as a radical revolution on what we understand as Government. Blockchain technology could affect what we understand as the current democratic institutions, by supporting new organisational structures that promote more democratic and participatory decision making processes. By the end of the day, the main problem for which blockchain provides a solution is enhanced trust in institutional record keeping systems, operating within an embedded streamlined compliance system. Blockchain usage as a record keeping system, helps to gather together information that normally is housed in a variety of places. A great example of accurate record keeping using blockchain, is a program designed by the company Building Blocks. In early 2017, Building Blocks began a program that helps the WFP (World Food Programme) distribute cash-for-food aid to over 100,000 Syrian refugees in Jordan, at a Syrian refugee camp. Being one of the first examples of blockchain for humanitarian aid, this program uses a machine scan to scan the iris of refugees to confirm their identity on a traditional United Nations database. That info is then matched with a family account kept on a variant of the Ethereum blockchain by the World Food Programme (WFP), which enables the refugee, to settle his or her bill automatically, when “buying” food from a supermarket. Sweden’s Land Register is experimenting with blockchain in its land title registry. How can we share data without giving up control? Is it always beneficial, an immutable record of transactions? Trust in the blockchain is closely intertwined with immutability, but if immutability seems like a great characteristic in a database, or a blockchain system, this needs to be look at with in depth analysis. Imagine a situation where what seems like a legitimate transaction, cannot be undone. Well, in reality, that situation can be one where fraud/theft is involved. What is the interplay and dynamics happening between these 3 characteristics? An example of the interplay between scale and trust gone awry, was the recent Facebook Cambridge Analytica scandal. When Facebook’s scale was optimized, that happened to the sacrifice of trust. The political consequences were huge. Then, we have the problem of decentralization and scale. This is a problem blockchain’s community of developers have been struggling with for a while. 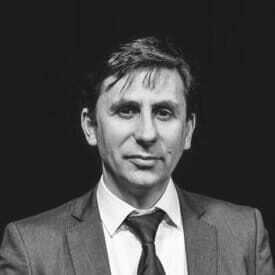 Just like French activists in the 1800s were fighting for decentralization, most people in the blockchain community today, have seen in detail what are the issues of managing decentralization and scale. The main problem is the question of control over decision making, ie, governance. How do you manage decentralized blockchain governance at scale? To better understand this problem, think about how hard it is to choose a restaurant when there are twelve friends in a party, as opposed to just two or three. Similarly, when a blockchain project community reaches a certain size, sometimes members cannot agree on decisions and reach a consensus, particularly when controversial changes are proposed. This is a typical problem of tension between decentralization and scale, which inevitably hinders trust. But for Blockchain networks to grow, they need increased demand for services. Thus, the system may need more nodes, which means more people involved, inevitably leading to more decision making power over a larger group. Over the past years, this has led to hard forks in the bockchain ecosystem, the schisms of the crypto world. Hard forks happened when Bitcoin community members proposed to change the block size, and Bitcoin Cash was formed. Another example is when Ethereum Classic was formed after Ethereum forked away during the community split over the reversal of the DAO hack. Part of the debate now, in the blockchain developer community is whether or not governance can be programmed into the blockchain protocol itself or off chain. But those episodes, have also impacted the trust over the real power of blockchain to go mainstream. There is no easy solutions to the issues outlined here, and these and others, will happen more frequently, as more and more experimentation happens, as the path is made by walking. But blockchain is here to stay and its architecture will definitely impact and help design the world of the future. Hopefully, and with the help of concerted action and proper legislation, that will happen for the benefit of all.